Emirates, winner of over 250 international awards, offers unrivalled levels of service, state-of-the-art facilities and convenient scheduling to guarantee your comfort, whether you are travelling on business or pleasure. Emirates' modern fleet of aircraft offer telephones and individual TV screens in every seat and 18 TV/film channels and 22 audio channels. 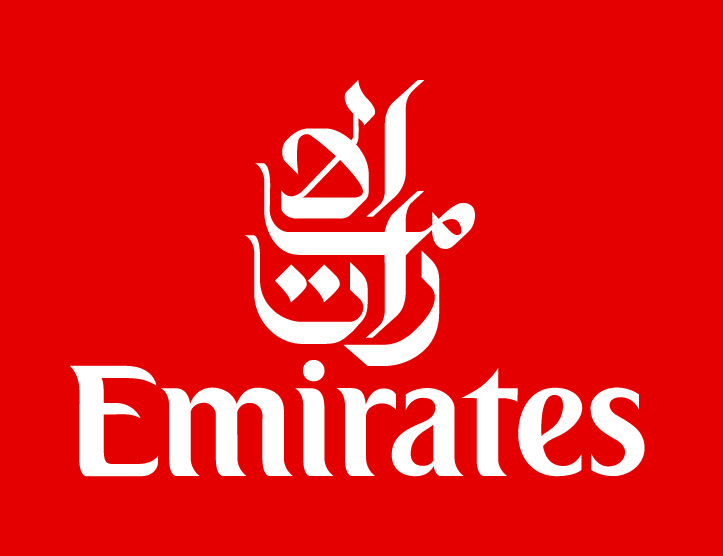 Emirates provides the most frequent services between the UK and Mauritius with daily flights. From the UK there are a choice of 16 daily flights from 6 UK airports - five from Heathrow, three from London Gatwick, three from Manchester, two from Birmingham and two from Glasgow and one from Newcastle. From Dubai to Mauritius there are up to 14 flights a week including one daily flight to Mauritius on the iconic A380 aircraft. 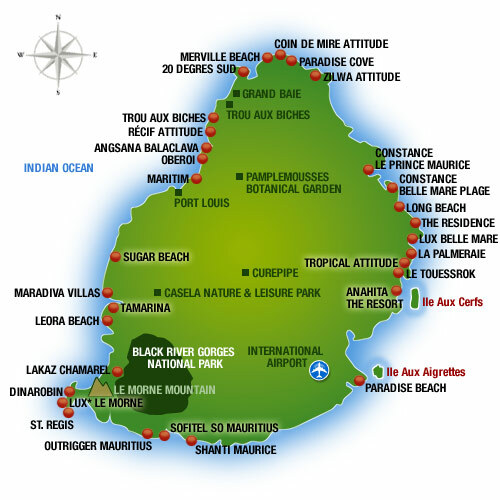 Reduced fares are available when booked as part of a hotel package to Mauritius, whether travelling in Economy or Business Class. These deals are available for most travel dates in 2015. Please note: most of the price examples on this website do not include these reduced rates. Please call us with your specifc travel dates and hotel choices and we will provide you with a detailed quotation. 12 roomy sleeper seats, separated by wide aisles, are set in three rows of two - Pitched 72” (A330-200), 86” flat bed (A340-300), 82” suite (A340-500) and 87” flat bed (B777-300) - Electronically-controlled leg rest and lumber support - Adjustable headrest - Privacy hoods with individual reading lamps built into each seat (A330) - Personal swivel table stored in the armrest slides aside at a touch - Ample wardrobe and overhead locker space - Exclusive complimentary amenity kits on night flights - Slipperettes, socks, eye-shades, supersoft down pillows and cotton-lined blankets. Champagne, fresh fruit juices, Arabic coffee and dates are served prior to departure – and there is a wide range of drinks from which to choose throughout your flight - Hot or cold canapes accompany aperitifs served prior to meals - Seven-course meals, prepared by emirates master chefs - Extensive range of award-winning wines chosen by emirates sommeliers - Royal Doulton bone china and linen napkins - Special dietary meals may be ordered when making reservations - Freshly made cappuccino and espresso coffee - Goodnight drinks include hot chocolate, Horlicks and Ovaltine. Personal video system, with a high-definition 26.4 centimetre (10.4”) screen stowed in the armrest, features individual video-cassette player and infra-red touch-screen controls - 18 video and 22 audio channels - 18 interactive games - Library of up to 50 films - External cameras give live views of take-offs, landings, and en route scenery - Airshow displays up-to-the second information about the progress of the flight - Personal satellite telephone in each seat with seat to seat calling - emirates TV & Radio Guide and comprehensive Film Guide - Leading newspapers, journals, and our own award-winning inflight magazine - Central fax machine. Laptop computer recharging facility - Four cabin crew exclusively to look after First Class passengers. Roomy, comfortable sleeperette seats in 2-3-2 configuration - 42 seats pitched at 60” (A330-200 and A340-300), 55” (A340-500) and 62” (B777-300) - Electronically-operated footrest and lumber support - Adjustable headrest with individual reading light built into each seat (A330) - Personal swivel table stored in the armrest slides aside at a touch - Ample wardrobe and overhead locker space - Exclusive complimentary amenity kits on night flights - Slipperettes, socks, eye-shades, woollen blankets, and supersoft down-filled pillows. Champagne and fresh fruit juices prior to departure Extensive selection of complimentary drinks served throughout the flight Canapes or mixed nuts accompany aperitifs Choice of six-course meals, prepared by emirates master chefs Selection of award winning wines chosen by emirates sommeliers Royal Doulton bone china and linen napkins Special dietary meals may be ordered when making reservations Menus changed frequently to avoid repetition for regular travellers. Personal video system with large, high-definition, 26.4 cm (10.4”) seat-back screens - Personal video player in each seat - 18 video and 22 audio channels - 18 interactive games - Library of up to 50 films - External cameras give live views of take-offs, landings, and en route scenery - Airshow displays up-to-the second information about the progress of the flight - Personal satellite telephone in each seat with seat to seat calling - emirates TV & Radio Guide and Film Library Guide - Leading newspapers, journals, and our own award-winning inflight magazine - Central fax machine. Laptop computer recharging facility - Three or four cabin crew exclusively to look after Business Class passengers. Comfortable, contoured seats are set in a 2-4-2 (Airbus) and 3-4-3 (Boeing) configuration - Adjustable footrest, headrest and lumbar support - Pitched at no less than 32” (A330-200 and A340-300), 33” (A340-500), and 34” (B777) - Overhead lockers provide plenty of storage for cabin baggage - warm blankets and pillows - service bell, reading light switch and entertainment controls in handset. Extensive selection of complimentary spirits, beers and soft drinks served throughout the flight - Savoury biscuits/nuts served with aperitifs - Five-course meals, prepared by our master chefs followed by coffees and liqueurs - Selection of award-winning wines especially chosen by our sommeliers - Special dietary meals may be ordered when making reservations - Menus changed frequently to avoid repetition for regular travellers. Personal video system features extra-large 16.5cm (6.5”) screens for more viewing comfort - 18 video and 22 audio channels - 18 interactive games - Personal satellite telephone in each seat’s individual handset - Two external cameras give live views of take-offs, landings and en route scenery - Airshow displays up-to-the second information about the progress of the flight - emirates TV & Radio Guide - Complimentary newspapers, journals, and our own award-winning Inflight magazine - Central fax machine and wall mounted telephone.